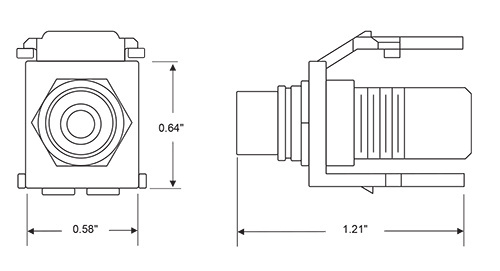 Leviton QuickPort® Feedthrough RCA connector is suitable for termination on UTP cable, speaker wire or shielded AV cable. 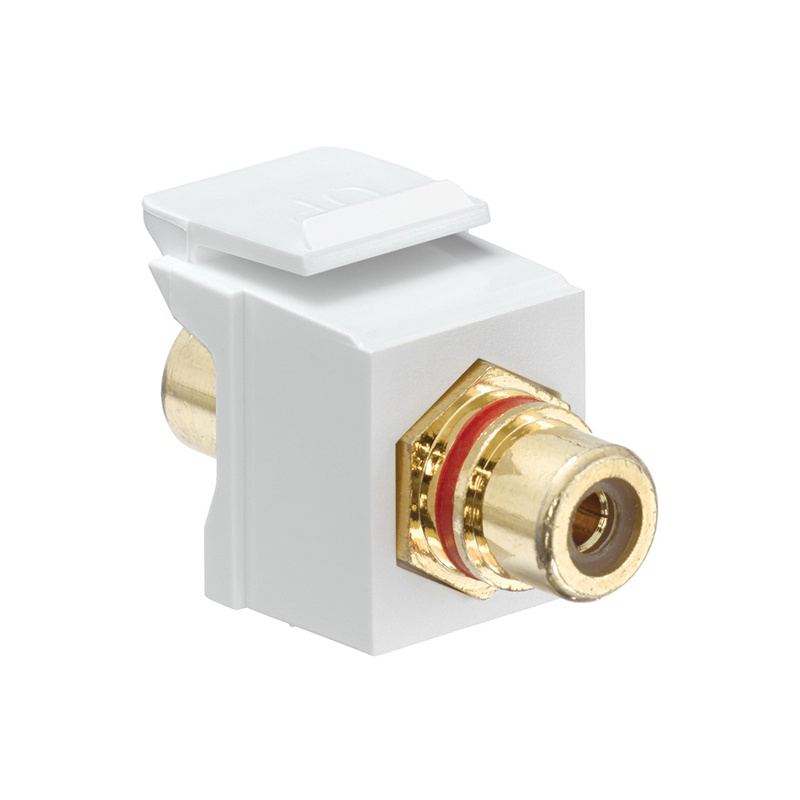 Connector in white/red color, features high impact fire-retardant plastic body and gold-plated contact surface. It has shielded A/V with terminated RCA plugs and snap-in front/rear RCA plugs, female-to-female terminal connection. This RCA connector is suitable for use with all QuickPort wallplates, housings and panels.